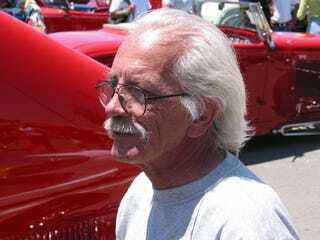 Lil John Buttera, famous for making some of the most visually and technologically unique dragsters and funny cars, died yesterday after a long battle with cancer. Both an engineer and a designer, Buttera contributed to drag racing with cutting edge manufacturing techniques and aesthetic touches that helped increase the popularity of the sport in the 1970's. Some of his most famous designs include Don Prudhomme's Snake II, Mickey Thompson's Mach 1 and our personal favorite: the Wonder Wagon Vega driven by Don Schumacher.